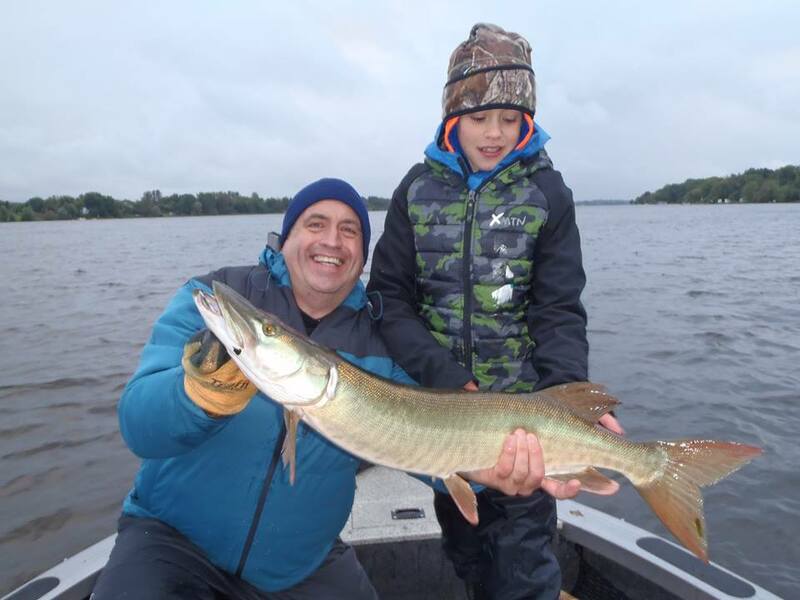 Luc called from Quebec City and said his son had a serious problem; he had musky posters all over his room and he had been asking every day for the past two weeks if his dad had called to book a musky charter on the Ottawa River. Good move dad. 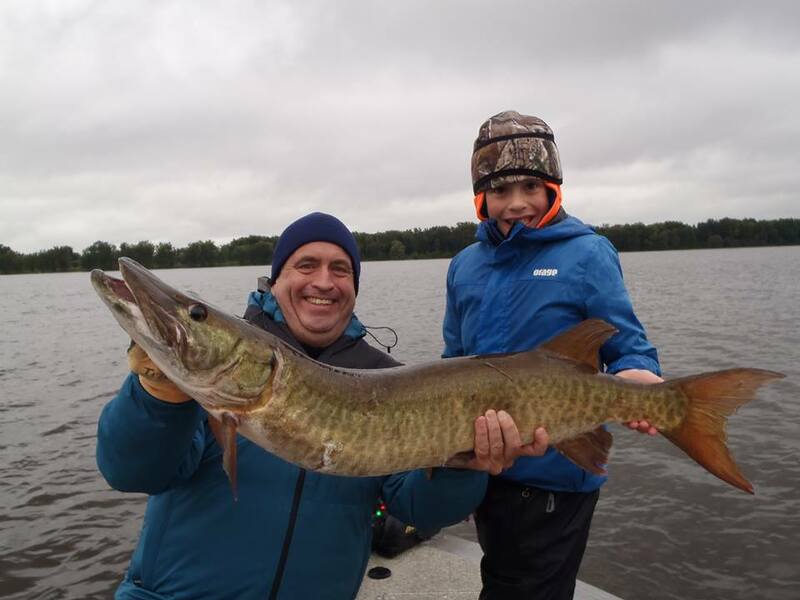 A 10-year old is usually a little too young to take out for full days of musky fishing. 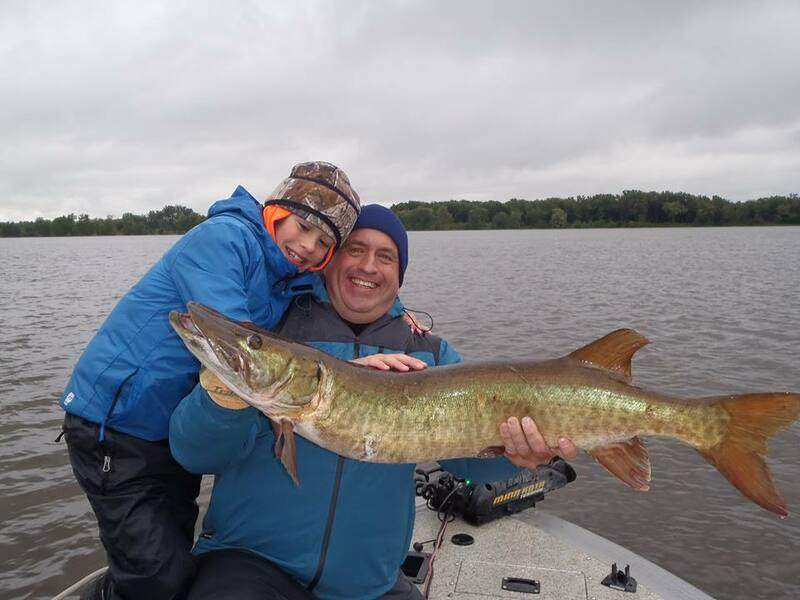 In general you need to catch fish regularly to hold the attention span of younger anglers and so pan fish or walleye fishing is often a better option. 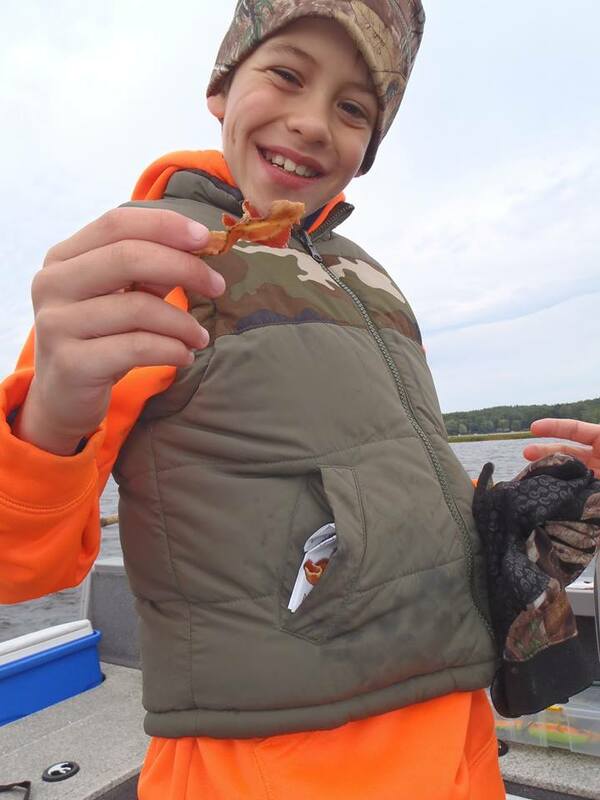 Luc told me his son was an exception and had already caught a number of giant ocean fish and hunted for big game several times. 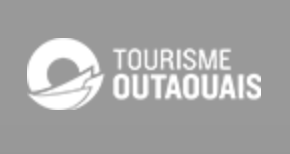 So a day was booked and off we went. Conditions were tough with a big cold wind and some rain. Good thing we had a pocket full of bacon to get through the day. Perseverence paid off and we boated two beauties.